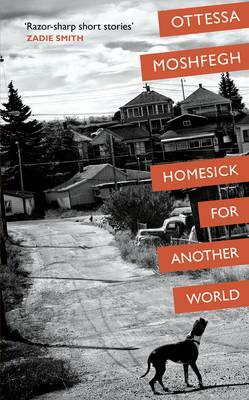 There’s something eerily unsettling about Ottessa Moshfegh’s stories, something almost dangerous while also being delightful - and often even weirdly hilarious. Her characters are all unsteady on their feet; all yearning for connection and betterment, in very different ways, but each of them seems destined to be tripped up by their own baser impulses. What makes these stories so moving is the emotional balance that Moshfegh achieves - the way she exposes the limitless range of self-deception that human beings can employ while, at the same time, infusing the grotesque and outrageous with tenderness and compassion. The flesh is weak; the timber is crooked; people are cruel to each other, and stupid, and hurtful, but beauty comes from strange sources, and the dark energy surging through these stories is oddly and powerfully invigorating. Moshfegh has been compared to Flannery O'Connor, Jim Thompson, Shirley Jackson and Patricia Highsmith but her voice and her mastery of language and tone are unique. One of the most gifted and exciting young writers in America, she shows us uncomfortable things, and makes us look at them forensically - until we find, suddenly, that we are really looking at ourselves.